Pam and I spent the last week touring some of the rural historical sites in Maryland. It was a fun trip and I have a few photos to sort through. 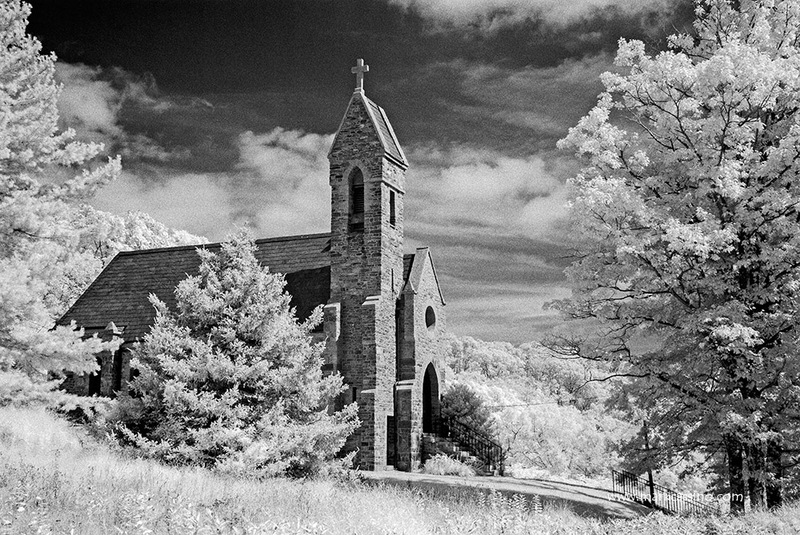 Here is a snapshot taken yesterday of the Dahlgren chapel, located just off the Appalachian Trail in western MD. Click on the image for a larger file. 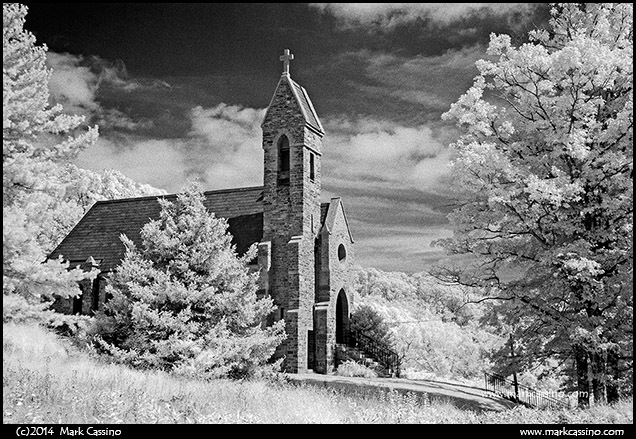 IR converted Pentax K10D with DA 17-70 lens.